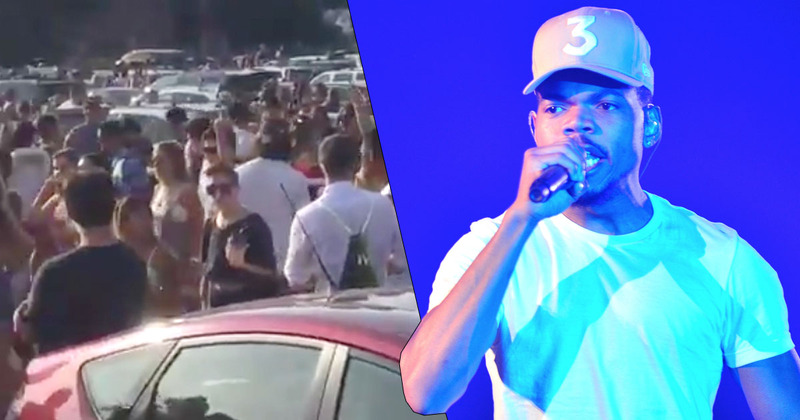 More than 90 people have been hospitalised after a Chance The Rapper concert in Connecticut turned very ugly. The concert, which took place on Friday night, attracted mass crowds of underage teens who seemed to embark on a mission to get colossally pissed. Shockingly – 90 of whom were hospitalised with ‘severe alcohol intoxication’, according to the Hartford Courant. Hartford Police officers made an additional 50 underage drinking arrests. Those arrested will have to appear at Community Court in Hartford next week. Hartford Police Department Deputy Chief, Brian J. Foley, said that 90 people being hospitalised is far more than a typical night in the area. A typical concert is around 20-30 transports. Sixty would be very bad. We had 70 once and 90 last night. It depends on the act that is in town and the fan base age. One of the teens hospitalised had a blood alcohol level of 0.5 making him eight times over the driving limit. He required a tube to be inserted to help him breathe and was eventually moved to intensive care. It’s just crazy. It’s not like adult social drinking, where you’re out with friends or family and you have a glass of wine or beer, or two, or three. Other artists on at the event included Kyle, PnB Rock and ANoyd.